Regular exercise helps reduce the intensity and frequency of back pain. Do some low-intensity exercises (like yoga or tai chi) for at least 30 minutes every day to keep muscles active and healthy. Biking, walking, and swimming are great low-impact options as well. Stretching is also a good way to keep the back strong and flexible and ease muscle spasms. When stretching, you should feel a gentle pull, not a burning sensation or tightness in the muscles. Before engaging in any physical activity, always consult with a doctor or physical therapist. He or she can find the right exercises to help your back, not hurt it. 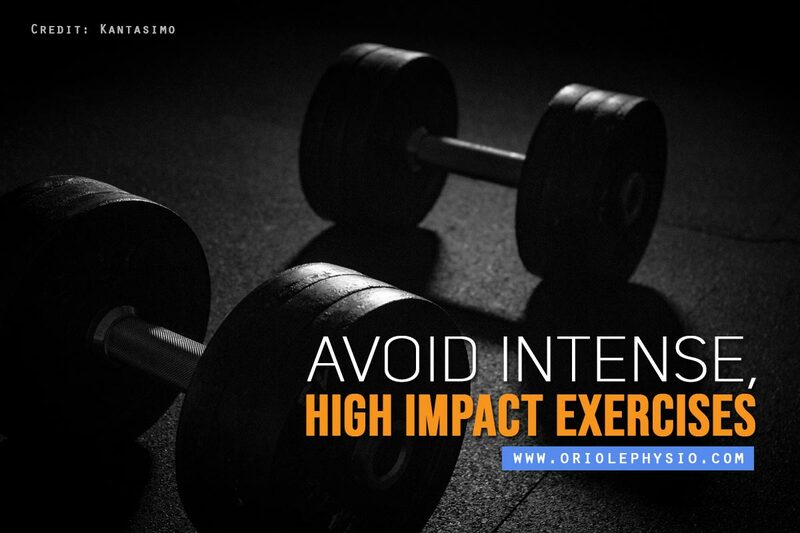 Intense exercise could aggravate pain, so avoid lifting heavy weights that put undue stress on back muscles. Exercises that involve twisting or deep bending can also put you at risk for greater injury. 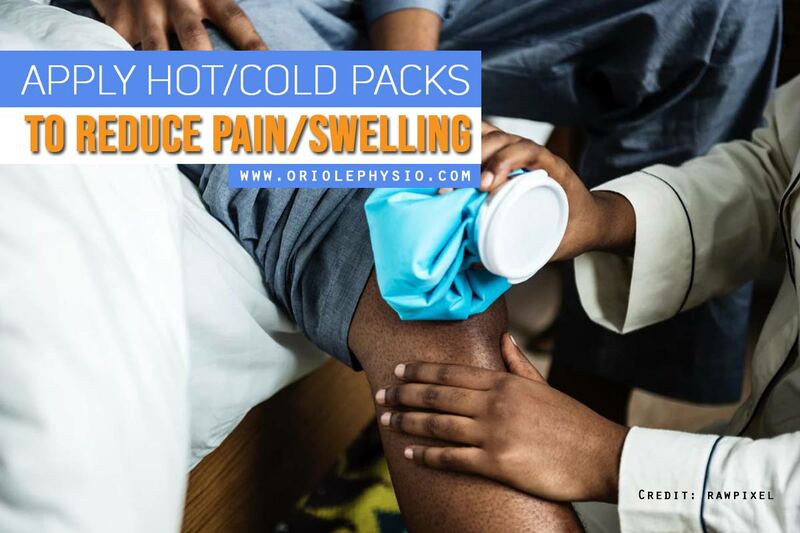 Applying a cold pack to affected areas reduces swelling and inflammation. If you don’t have one on hand, a bag of ice cubes or frozen vegetables will work just as well. Apply the pack for 20 minutes several times a day. Heat therapy reduces muscle spasms and tension by relaxing muscles and increasing blood flow to speed healing. Use a heating pad or hot water bottle on a sore back; soaking in a warm bath or sitting in a hot tub also helps. Massage therapy helps to regain flexibility and range of motion in the back. This kind of treatment works to stimulate blood flow and relax muscles to aid in the healing process. Several different types of massage techniques are available (such as deep tissue massage, Swedish massage, or reflexology); contact a physical therapist for suggestions on which is best for your condition. Incorrect posture (e.g. slouching) puts undue pressure on the spine and could lead to chronic pain. Straining the neck affects the upper back muscles, so be careful of looking down at a phone or computer screen too often. When seated, sit up straight against the backrest and position the knees at a 90-degree angle, keeping the spine in a neutral position. This will provide more support and maintain proper alignment. The human body isn’t designed to sit for extended periods of time, so try to minimize how long you spend in a seated position. Sitting shortens the hip flexor muscles and rounds the shoulders. If you are an office worker or have another type of job that requires long hours at a desk, get up every hour or so and take a short walk. 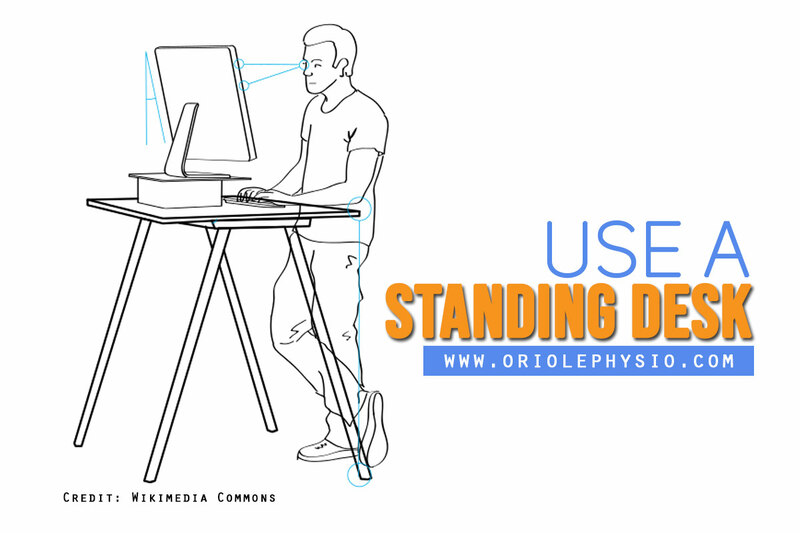 Use a large exercise ball instead of a chair to support the back, or try a standing desk so you can work on your feet. Sitting stretches may also alleviate stiffness and pain. When moving heavy objects, use the correct lifting technique to prevent accidental injury. Keep the back straight and refrain from stooping or bending. Have a firm footing and a wide stance to maintain stability. Bend the knees and lift the object using the strength of your legs, not your back. Lifting something above shoulder level or twisting or turning the torso as you stand could trigger back pain; be careful as you move and focus on good form. Back pain can be caused by problems with the vertebrae. Spinal discs between the bones are filled with water, and dehydration makes them less spongy. This loss of flexibility aggravates pain. Drink plenty of water to give the discs the fluid they need to stay healthy. The common wisdom says to drink at least eight glasses per day, but everyone’s needs are unique. Listen to your body—it will tell you when it’s thirsty. It may be tempting to lie down when back pain strikes, but it could do more harm than good. Resting for a day or two is fine, but any longer than that can impede the healing process. While it may seem counterintuitive to stay active, movement keeps the muscles mobile, working properly, prevents strength loss, and relieves any lingering muscle spasms. However, if your current activity causes discomfort, try something else (and always consult a doctor first). 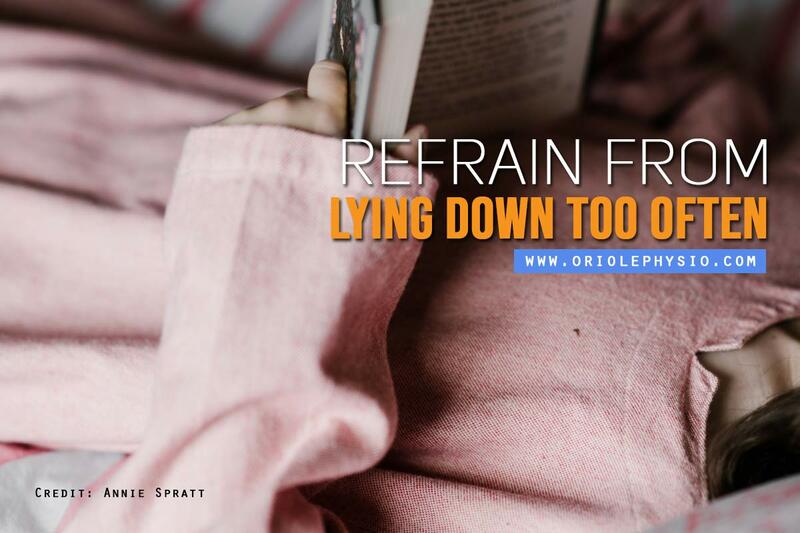 When looking for a comfortable sleeping position, refrain from lying on the stomach. This strains the natural curvature of the spine and causes pain. Aim to sleep on your side or back. When sleeping on your side, put a flat pillow between the knees to keep the spine properly aligned; when on your back, put it under the knees for better support. If stomach sleeping is a habit, try sewing a tennis ball into your night shirt or pajama top to avoid turning over. Smoking reduces the amount of minerals (like calcium) in the blood, leading to greater risk of osteoporosis and related fractures. 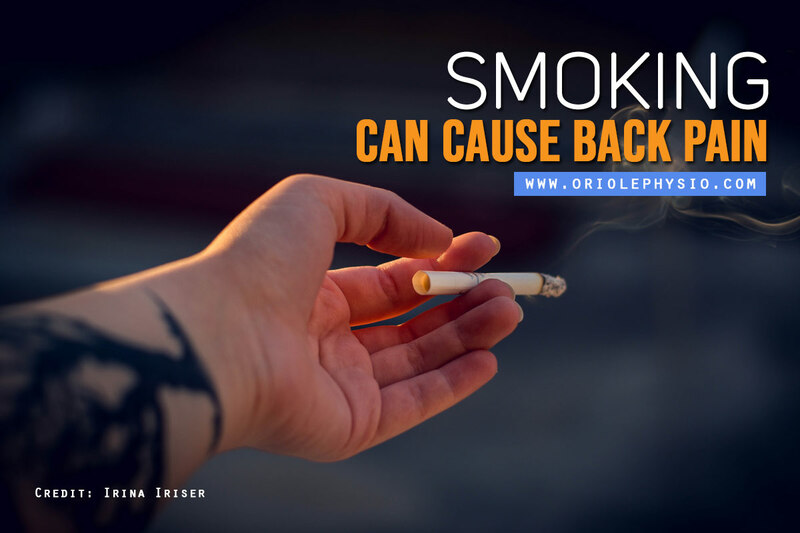 Nicotine restricts blood flow to discs and can aggravate nerves in the spine. Heavy smokers may also experience excessive coughing which puts pressure on the spine. Quitting smoking is important for a healthy back; your doctor will assist you in creating a plan to kick the habit for good. Keep these tips in mind to manage back pain. Proper care can assist in relieving discomfort and prevent it from getting worse. Knowing the dos and don’ts of treatment helps speed recovery and lets you return to your regular activities more quickly. Oriole Physiotherapy & Rehabilitation Centre provides quality rehabilitation in North York for patients with chronic pain. We offer the latest techniques and treatments to minimize your discomfort and put you on the road to recovery. Give us a call at (416) 221-0772 for exceptional and personalized care.